FAST, EASY, POWERFUL, NO MESS and SAVES TIME & MONEY! Now you can paint like a pro and say goodbye to rollers, brushes and the mess of paint trays while getting the best coverage quickly and easily—and try it risk free for 30 days! 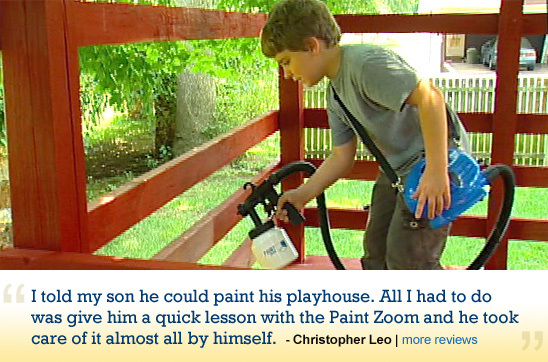 With your Paint Zoom™ paint sprayer, all you do is just pull the trigger and paint. 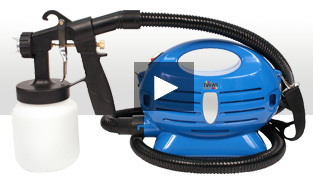 Now you can paint, stain or varnish just like a pro. The Paint Zoom™ paint sprayer does the hard work for you—painting in just minutes instead of the hours you'd need with a brush and roller—with no drips or errors. 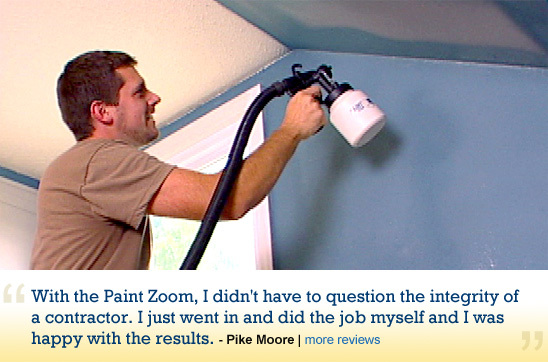 With the Paint Zoom™ paint sprayer, you can paint flat walls, stucco, brick, paneling, ceilings, concrete, wood and so much more. And always get the professional finish you want while using 50% less paint for even more savings! 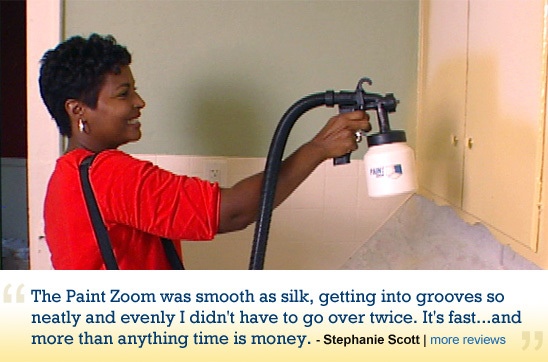 Transform any room into a magnificent space with the Paint Zoom™ paint sprayer—for professional results in minutes! 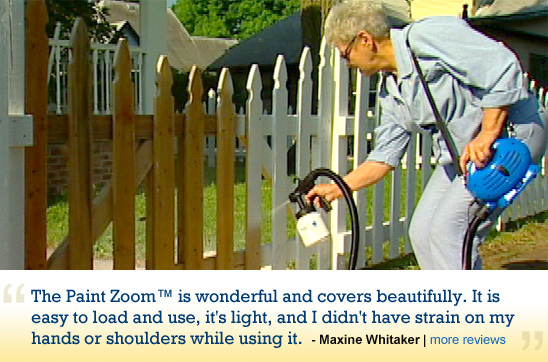 The Paint Zoom™ paint sprayer is made of ultra-light, ultra-durable material that lasts for years. Inside the portable power pack is an industrial-strength, 650-watt motor that delivers the power you need, when you need it. 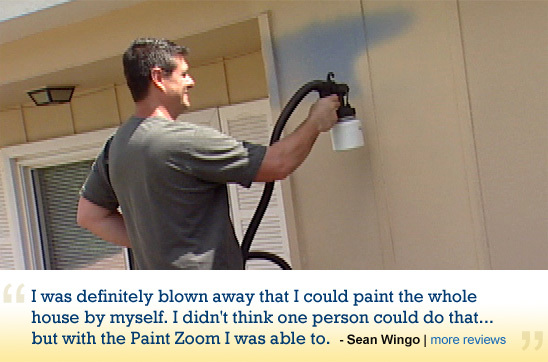 Simply pull the trigger and the Paint Zoom™ paint sprayer delivers a perfect amount of paint to any surface. Your "Perfect Painting Kit" includes 2 large drop cloth sheets and painters tape. This $25 value is yours FREE! Just pay s&p. You're also protected by our 30-Day Money Back Guarantee! Your "Perfect Painting Kit" includes 2 large drop cloth sheets and painters tape. This $25 value is yours FREE! We pay the last payment for you (3 instead of 4 payments of $33), Plus you'll get over $25 in bonuses! Before and After PaintZoom™ - See the difference!